what is possible," said Mark Templin, Executive Vice-President, Lexus International. "That determination, combined with our passion and expertise for design and innovation, is what led us to take on the Hoverboard project. It's the perfect example of the amazing things that can be achieved when you combine technology, design and imagination." 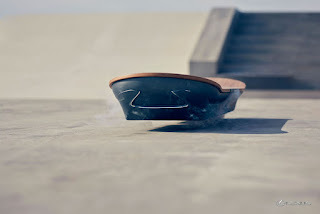 The Lexus Hoverboard is part of the fourth project in the Lexus 'Amazing in Motion' campaign that showcases the creativity and innovation of the Lexus brand.